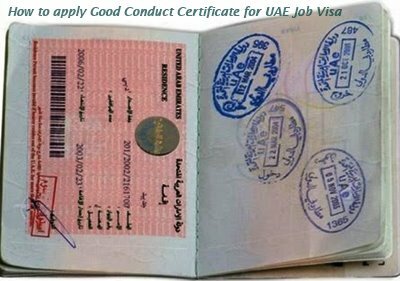 Expatriates applying for a job in the UAE must first obtain a certificate of good conduct in order to be issued a work permit, a UAE government body has announced. The new rule will take effect on February 4, 2018. As per a decision of the Council of Ministers No. (1/8) of 2017, which has been adopted recently by the Dubai Police Coordination Committee, the applicant should provide the certificate from the home country or from the country of residence where the person has been residing during the last five years. This should be certified by the UAE missions abroad or attestation centres of the Ministry of Foreign Affairs as part of International Cooperation. Long-term residents in the UAE who are looking for a new visa can apply to Dubai Police or Abu Dhabi Police for a certificate. Now to make the process simpler, Dubai Police posted a link on their official Twitter account through which the certificate can be applied online. In addition, the applications can be made using the Dubai Police app which can be accessed on all smartphones and is available in English and Arabic. Here, an individual has to enter his/her name along with the identity card number to initiate the process. The fee to obtain the certificate for UAE resident expats is Dh220. The 'certificate of good conduct' should be issued by the country of origin of the person or the country where he has been living for the past five years. It should then be ratified by the state's mission, as well as the UAE Ministry of Foreign Affairs and International Cooperation. The certificate will only be applicable to the worker concerned and not his/her dependents. Those coming to the country on a visit or tourist visas do not require the certificate either.